Our Shop has the BEST Selection & Price on High Quality old vintage antique Architectural and Industrial reclaimed Salvage. Our Architectural Antiques are mostly from the back roads of Texas. Our Store of 3,000 sq. ft is pack and well organized with wood & metal items coming in daily. Over 4,000 rustic Goodies. Over 400 unique high quality old doors, Colonial doors & barn doors, Over 300 beautiful colorful vintage stained windows. Wood windows, wood screen & doors, collumns, corbels, molding and reclaimed old lumber. Industrial metal and galvanzined items at the shop. 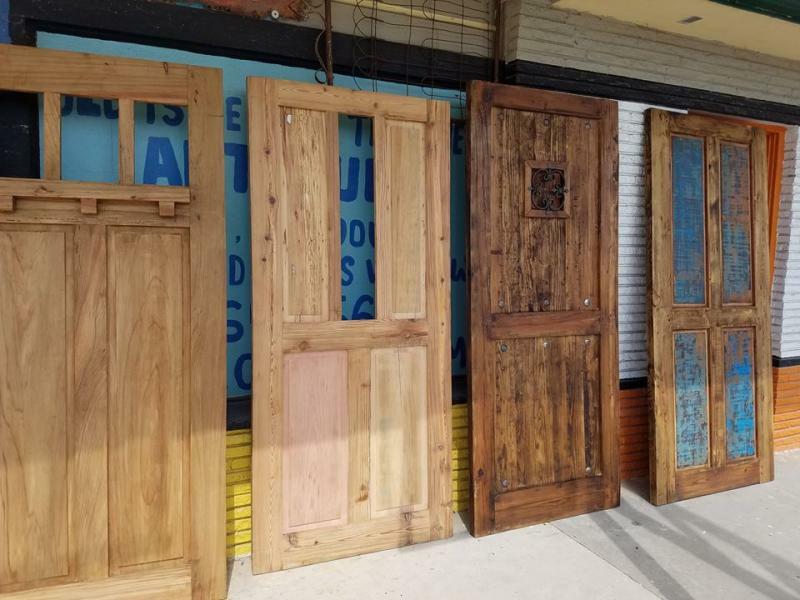 We do custom wood doors, windows and furniture from reclaimed long leaf pine and other reclaimed materials. <- Click Left tabs for Store Product Pages. Our Website does not reflex all our inventory. We post on Facebook daily. 10,000 likes on Facebook Page & hundreds of A+ reviews on Google page. We accept Visa, Master, Discover, American Express & Cash. We travel the back roads of Texas. Let us know the Antique piece you are looking for on our wish list and the price range you are willing to pay on our comment page? 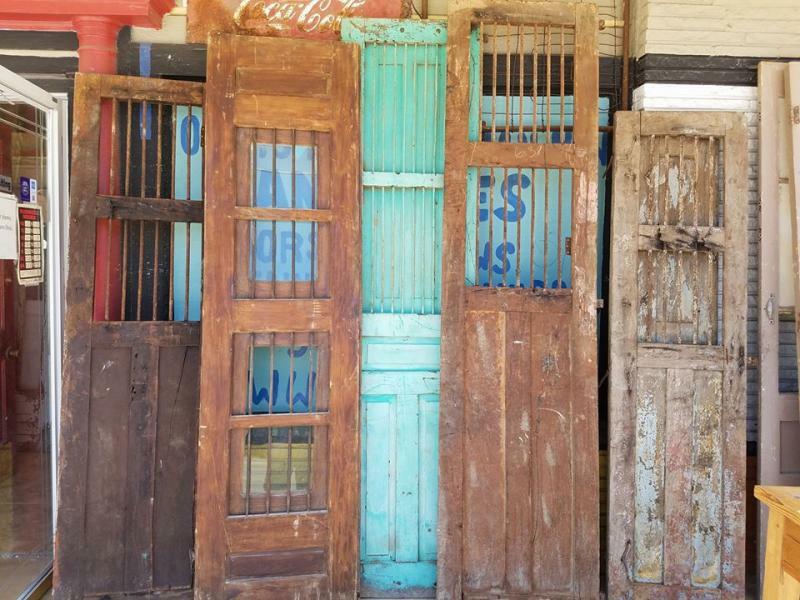 Owner: Gabriel Galindo ---"Lets Go Green"
Colonial Mexican Antique doors arriving monthly. 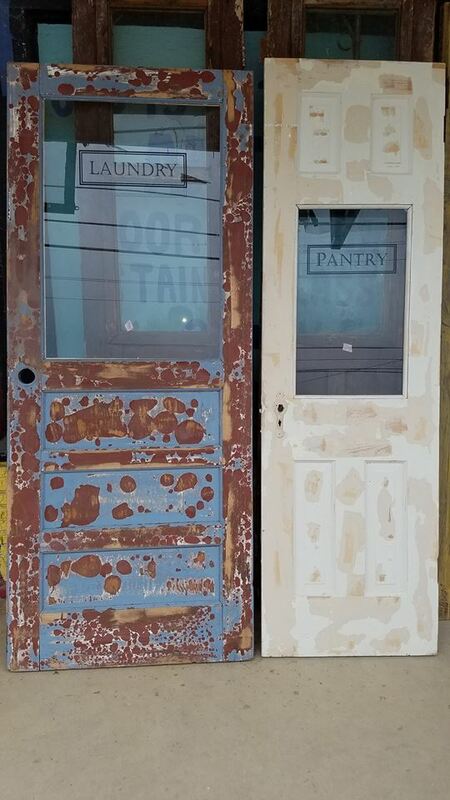 We create Pantry or Laundry Doors from old doors. We make custom doors any size from old reclaimed pine lumber. Pine lumber has tight grains from the old trees from USA. Please contact us anytime! We look forward to hearing from you. Call our number (210) 364-4564 and leave us a message or e_mail us at Gabriel@Old-SA.com. Used the reference number by our product to help us answer your question. By appointments call or text: 210-364-4564. If you see a great location, E-mails us.